Rosterdownload.com will provide you with the most accurate NCAA Football 14 for NCAA 2018 -19 Season Rosters for the EA Video Game. This will list the players First and Last Names, with fast turnaround and provide excellent customer service with a fair price. We been providing Accurate Rosters for the last 12 years with 99.9 Percent Customer Satisfaction. 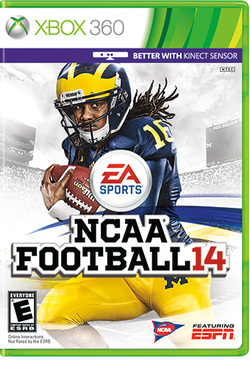 Still like to play NCAA 14? 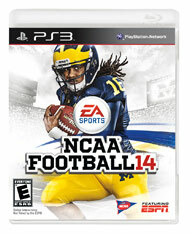 Since NCAA 14 was the last released NCAA Football game and you still love to play. We provide current updated rosters, for what would have been NCAA 18- 19 Season. You came to the right website.
. You will have the Most complete NCAA rosters for the 2018 -2019 season that includes all Division 1 players and Coaches for PLAYSTATION 3 or XBOX360 for NCAA 14 Football. EA Sports NCAA Football 14 for NCAA 18 - 19 Season; there are no names on the players jerseys; just numbers. You could enter the real player names and complete all of the Division 1-A Rosters on your own. This would take many, many hours. We completed this task by completing the Rosters with real name for the current season, ready to use offline and online. NCAA Football 18 - 19 Season Rosters for PS3 and XBOX 360. The Roster file will be complete and have the players names for all NCAA teams. XBOX360 by way of EA Locker feature with XBOX LIve Gold or USB Flash Stick. Rosterdownload.com will stand 100% behind the rosters we sell. If you are not completely satisfied with the final product we will be happy to return your money. Copyright © 2004-2019 Gamestomaster/Rosterdownload.com All Rights Reserved. The information contained in the roster files defined above is based on public domain information and is not intended to represent any endorsement by the National Collegiate Athletic Association (NCAA), its universities and/or colleges, conferences, players, Sony Playstation3 or Microsoft XBOX360 or Electronic Arts. Designated trademarks, brands and etc. are the property of the respective owners.